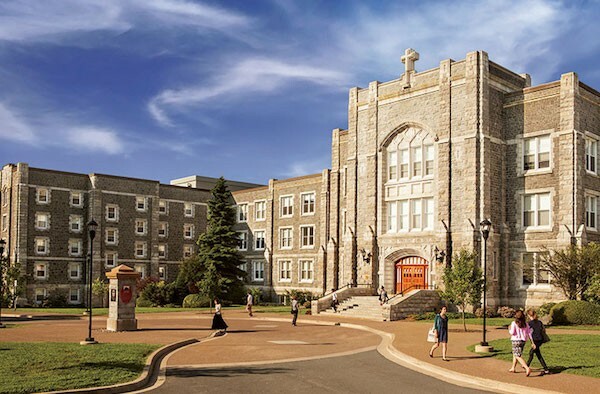 Jill McKenzie took one look at the CELTA (Certificate in Teaching English to Speakers of Other Languages) program at Saint Mary's University and knew it would be a rigorous journey. She decided to take the leap. "I've always had an interest in teaching English as a second language. My sister also took CELTA, and told me what an excellent course it was, how qualified and knowledgeable the instructors were, and that it led to a fulfilling career," says Jill. The program has received the highest reviews, and adhered to high standards as The Language Centre at Saint Mary's University is an Authorized Cambridge Teaching Awards Centre, and the CELTA is awarded by Cambridge Assessment English, which is a part of the University of Cambridge. CELTA offered Jill the practical experience with teaching in a real classroom to two different levels of students: beginner and intermediate. The course consists of 120 contact hours, and it includes supervised and supported lesson planning, six hours of teaching practice, feedback and mentoring from other course tutors. "Having experts observe me when I taught was invaluable because I was able to understand where my strengths were and what I could improve. I feel extremely lucky to have learned from the CELTA instructors and benefit from their mentoring. CELTA is an intense course, but it is designed to facilitate collaboration in a supportive environment," says Jill. CELTA enabled Jill to take her background in communications, and gave her the proper training skills and confidence to pursue her current career as a Language Instructor at the Saint Mary's University Language Centre. Clearly she loved her time there as a student. "I have always had a passion for writing, language and communicating. Teaching English always seemed like a good fit with my skillset and interests. I really love teaching English, and have found it to be extremely rewarding," says Jill.